As traders and investors progress in cryptocurrencies, there are more advanced techniques that they can apply to attempt to enhance their returns. However, these techniques also represent more risk and are only applied by those with sufficient experience. We cover these techniques in this chapter. The techniques include shorting, leverage trading, derivatives, arbitrage, lending, masternodes, and ICO investing. The tools discussed in this chapter should be exercised with caution and should not be used unless readers also progress to chapter seven where approaches for managing risk are discussed. Leveraged trading involves the use of borrowed funds to enhance returns. Imagine you have €10 and the price of one coin of Crypti is €10. You buy one Crypti coin and anxiously follow its movements day after day. After a volatile year, the price ends up at €15. You are happy because you have got a 50% ROI (Return on investment) gain on your investment. You then chat to your friend Patrick. Patrick also started the year at €10 and was also eyeing up Crypti coin as an investment. Patrick went to his friend, Johnny, and asks to borrow €90 to make an investment. Johnny says he can borrow it but he needs it back at the end of the year and he also has to keep some of his own money in the investment. Patrick agrees to the terms and uses his own money along with the borrowed funds to purchase ten Crypti coins. After Crypti coins finish the year at €15, Patrick has €150 in total value. He pays his friend Patrick back his €90 and is left with €60. Patrick has successfully earned a 600% return on his initial equity. But leveraged trading comes with significant risks. One of Johnny’s terms was that the trade can remain open as long as Patrick has some of his own equity in the investment. If Patrick’s initial investment dropped just 10% (€100 to €90), it would erase all of the equity that Patrick holds in the position and he would be forced to sell to pay Johnny his money back. How does this work in the cryptocurrency markets? Derivatives instruments which we will cover next enable traders to apply leverage and if their equity approaches zero, they are liquidated. They will also typically pay a rolling fee to keep the position open which is how the exchange earns its money. Other exchanges will also allow users to borrow money. Users will also pay a fee for this. One term which will commonly be referred to in leveraged trading is margin. The margin is the amount of capital the trader requires to open a leveraged trade. Typically, there will be an initial margin and a maintenance margin. The initial margin is what is required to open the position. If the initial margin is 40% and the total position value is going to be €100, that means that the investor will need to put €40 of their own capital. The maintenance margin is the minimum amount of capital the investor needs at all times. If the initial margin is 40% and the maintenance margin is 25%, the investor can open the position if they have at least 40% of the equity in the position and the position can remain open as long as 25% of the capital in the investment is theirs. If the €100 position was opened with €40 initial equity and €60 borrowed equity, the position can remain open as long as it doesn’t decrease to the point where the investor only holds €25 in equity. If it decreases to this point, the position will automatically be closed and any fees that the exchange or broker charges will be deducted. Leveraged trading can be extremely effective when used correctly but it can also be disastrous when used carelessly. An enormous number of traders and investors careers have come to an early end because of the careless application of leverage. One tool you can apply to make sure you protect the capital in your portfolio is that you do not risk any more than 1% of your portfolio on any one trader, or any more than 3% on any collection of trades. These are the recommendations of legendary investor Paul Tudor Jones and will be covered again in the next chapter on risk management. Derivatives are instruments whose price is derived from an underlying instrument. In the case of cryptocurrencies, there are derivatives to represent a number of different cryptocurrencies. Derivatives are commonly used to apply leveraged trading and also to open short positions. We will cover short positions next. There are a number of derivatives exchanges operating in the cryptocurrency space. Bitmex is the most widely used and popular. Bitmex enables traders to apply up to 100x leverage on positions and also to take short positions. 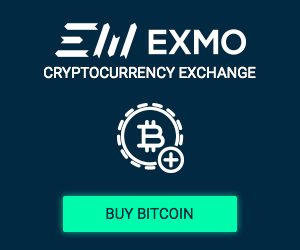 If you sign up with Bitmex through our link, you will earn 10% off your trading fees! On a larger scale, the CME provides Bitcoin futures instruments which are derived from the price of Bitcoin. These futures contracts expire every three months and enable professional traders to speculate on the price of Bitcoin. The market is not always going to go up. 2018 has been the perfect example of this. Traders who could only take long positions during 2018 were really swimming against the tide. Traders who can capitalise in all market conditions must be able to take short positions when the opportunity presents itself. Shorting, or short-selling essentially means speculating on the downward movement of the market. How does short selling actually work? In the stock market, an investor borrows the stock from another investor through their broker and sells immediately. At a later stage, they buy the stock back to return it. If the price has gone down, the profit is the difference between the selling price and the price which the stock was bought back at. If the stock rises, the investor suffers a loss. Shorting is a more risky investment strategy as losses can be unlimited. There is only so far that a stock can fall but the upside is theoretically unlimited. How does it work in the cryptocurrency markets? A number of exchanges will allow users to borrow margin to take short positions. There is typically a rolling fee on these positions. One exchange which facilitates this is Poloniex. There are cryptocurrency derivatives that also enable traders to take short positions, the most popular of is the Bitmex XBTUSD perpetual swap which facilitates traders to speculate on Bitcoin as priced against USD. Many contracts for difference (CFD) brokers have cryptocurrency instruments that enable traders to derivatives that track the price of cryptocurrencies. However, the fees are typically so high with CFD brokers that it will be nearly impossible to profit over the long-term. Arbitrage is another advanced technique which is a bit different. It is capitalising on the mispricing of the same security in two different markets. Imagine you could buy oranges in the store down the road for €1 and you have a merchant willing to buy them from you a few blocks away at €1.10. You buy 100 oranges and bring them to the merchant to sell at a 10 cent premium. You can happily do this as long as there are oranges and a mispriced market. This is a straightforward example of arbitrage. This also takes place in the financial markets with identical instruments sometimes being mispriced in two different markets. However, in the traditional markets, these price discrepancies do not last long as traders will buy the instrument which is lower priced and short the higher priced instrument to profit from the convergence. With the cryptocurrencies market still in the developing stages, spreads do exist between different exchanges and instruments. But why is everyone not capitalizing on these? Are there any risks with arbitrage? Let’s go back to our oranges example. Imagine you bought as many oranges as you possibly could for €1 and you bring them down the road to sell for €1.10. Upon arriving at the second shop, you find out that the price is after dropping to €0.90. Instead of profiting 10 cents for each orange you have bought, you have actually lost 10 cents for each orange you have bought. This represents a real risk and is especially applicable to the cryptocurrency market given the longer block times. 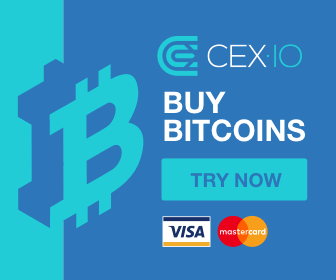 If you buy Bitcoin with your euros on one exchange and look to transfer it to another exchange that is trading at a 3% premium to sell for euros, the price could easily be lower after swinging by the time the Bitcoin arrives. There is also the question of scalability. In the orange example, the seller of oranges will only have so many oranges to give you and you can only transport a given amount anyway. If you can manage to build up a successful arbitrage operation which would be a great feat to achieve, you will eventually reach a point where the sheer size of your orders cannot be handled and you will be unable to offload at profitable prices. There are numerous other complications which come into arbitrage as well. Transferring to and between exchanges has its own risk, especially in a new industry. The exchanges with the best spreads often have them for a reason as well. The exchange which has the highest premium may have subpar operations and you may never be able to get your funds at all. It would be the same as bringing your oranges down to sell for €1.10 and somebody robs the whole bag on the way! Additionally, you need to make sure that you cover all fees and leave with a decent profit. When you take a short position with borrowed equity as described earlier, where do you think the money comes from? It comes from other users on the exchange. Most exchanges do not let users manually loan out money as they do this in their own internal system but some exchanges will let users loan out to earn an interest return. The most popular exchange which enables this is Poloniex which is owned by Circle. There is an order book for loans on the exchange where there are loan bids, load offers, and proposed interest rates. Users even have the ability to automatically renew loans or to build an algorithm which will reopen a new loan at a preferable interest rate every time one closes. Masternodes is a very new area of investing within cryptocurrencies. In the proof-of-work consensus system, all the nodes in the network maintain an updated ledger and miners expend enormous amounts of energy competing to append blocks to the blockchain. 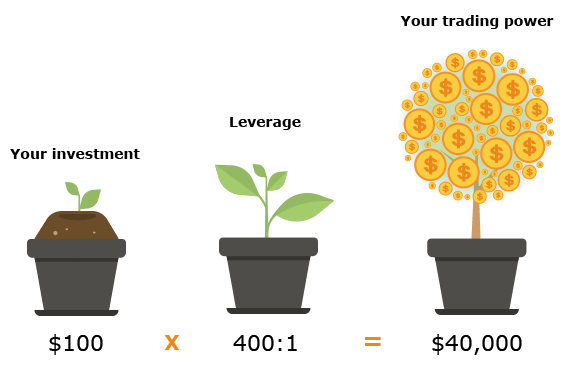 Many in the community envision this model being unsustainable and there are cryptocurrencies experiments with new consensus mechanisms. The most popular alternative so far has been the proof-of-stake model. In the proof-of-stake model, there is a special type of nodes called masternodes which stake a minimum amount of the native cryptocurrency in the blockchain. Masternodes are the equivalent of miners in the proof-of-work system. Masternodes are responsible for processing valid transactions and appending blocks to the blockchain. If the masternode processes invalid transactions, the operator of the masternode gets their stake cut which provides a monetary incentive for the operator to secure the network. The reward for a masternode processing these transactions is a regular dividend. The most popular cryptocurrency which applies the masternode model for reaching consensus is Dash. Dash is currently ranked in the top 20 cryptocurrencies and has resulted in many cryptocurrencies experimenting with the masternode model. Holders of 1000 Dash can set up a masternode. That values a Dash masternode at approximately $150,000 at the time of writing. At price peaks, a Dash masternode was worth over ten times as much. The masternode pays out approximately 7 Dash per month which would work out at just over $1000 around current prices. Websites such as masternodes.pro and masternodes.online can be used to analyse different cryptocurrencies which use the masternode model. There is even a cryptocurrency, Gincoin, which is solely developed to enable users to purchase masternodes. If cryptocurrencies are the riskiest asset class, then ICO’s are the riskiest of the risky asset class. Cryptocurrencies are often compared to the wild west. ICO’s would be the meanest bar in the wild west. ICO’s have proven difficult to navigate for many investors. ICO investing allures investors with claims of double-digit, triple-digit, and even quadruple-digit gains. But it is territory which should be entered carefully. Scams are everywhere when it comes to ICO’s. Even if a project is not a scam, there will be numerous entities online working hard to impersonate the project and take your money. Here, we are going to present a framework for investing in ICO’s that can drastically improve your chances of success if applied correctly. We will also outline some of the key security risks and scams which have occurred in the past so that you can be aware of them going forward. The framework consists of five steps. In every ICO, there is a price specified to purchase the token of the project. This is the value that the team which is doing the token generating event (TGE) is valuing the project at. The details of this will be in the whitepaper. It is sometimes specified in an Ether amount, sometimes in a dollar amount, and other times in another cryptocurrency or fiat currency amount. The whitepaper needs to be looked through to find this value. Sometimes, ICO’s will complicate this value by providing numerous different types of tokens. It can also be difficult to determine in other circumstances as ICO’s occur in a number of stages and earlier investors get a more attractive price. The price that you are looking to find is the typical public sale price per token. This is the price that the token will be once it gets listed on exchanges. This value can never be known for certain during the TGE and will only be found out when the token is listed on an exchange. It will be established through the demand and supply of buyers and sellers once the token hits exchanges. You can never know what this value will be so it will need to be estimated through analysis of the project. The fundamental analysis detailed in the previous chapter can be used where relevant. The network won’t have launched so there will be no metrics available on how the blockchain will operate. Regardless, the team can be assessed, the supply and issuance model, and the market which is being targeted may also be assessed. There should also be communities established online for the project along with advisors for the project. Telegram channels are common to answer investor queries. Twitter, Reddit, Medium, and BitcoinTalk accounts are also common. In most cases, the estimated market price of the token will be lower than the price the project is asking for the token. If this is the case, then the analysis stops here. How confident are you that the token will have a higher valuation when it gets listed on an exchange? What are the reasons behind why you have assessed it will be higher? What would have to happen to prove you incorrect? This is mainly guesswork but the more knowledgeable you are about the token and the market it is entering, the better your estimates will be. Assign some percentages to your level of confidence. If the price of the token in step one was $0.1, you could say that you estimate the token will fall in the range of $0.5 to $0.3 70% of the time when listed. This would be a good speculative bet to take. This will depend on your level of confidence. The higher your level of confidence, the more that should be staked. In highly speculative investments like ICO’s, only a small fraction of capital should be staked. Essentially you can determine a range that you are willing to speculate on ICO’s. Let’s say you establish that you are only going to risk 0.3 to 1% of your total equity on any one ICO. If you were only slightly confident that the market price was going to be higher than the asking price, then you would use closer to 0.3% of your total capital. If you have high confidence that the market price is going to be higher than the asking price, you could speculate with closer to 1%. These figures are just for the sake of this example and the figures you choose are going to depend on your own circumstances. Telegram groups are commonly set-up to help investors contribute to the TGE. A number of admins will run the group. It is common for scammers to set up the same profile and description as the admin of the group and private message individuals in the group. They will typically offer bonus tokens to participate in the ICO through them. If you send funds to whatever address they tell you to send funds to, these funds will never be seen again. So now you have a framework that you can apply to ICO’s you are considering. But the world of ICO’s goes deeper. You do not just login to an exchange and preorder your tokens for listing. Investing in ICO’s can involve more sensitive tasks such as registering your information, signing up to sale lists, and sending funds to public addresses. Never send your funds to any address if you are not certain it is the address of the official TGE. Typically ICO’s are conducted with Ethereum so the address you are sending funds to can be double checked on the Ethereum blockchain explorer Etherscan.io. There are many websites which review ICO’s and provide a rating. While these websites can be useful to gain some of the key information for the ICO, they cannot always be trusted. There have been reports of these ICO’s accepting compensation from ICO’s to issue good ratings. You now have some more advanced tools. Be careful applying these as it typically takes years before traders can effectively implement many of the tools such as leverage and shorting. The exercises in this chapter focuses on providing you with more knowledge related to the techniques in discussed in this chapter. Set up an account on Bitmex.com and have a look at the different derivatives offered. If you sign up using our link you will get 10% off on your fees as soon as you start trading. Visit http://masternode.online/landing and masternode.pro to research cryptocurrencies where you can set up masternodes. Once you’re ready, proceed to our final chapter, chapter 7.